Behold, the Google Home Mickey. It’s an official partnerships with Google and Disney that OtterBox is selling for $20. 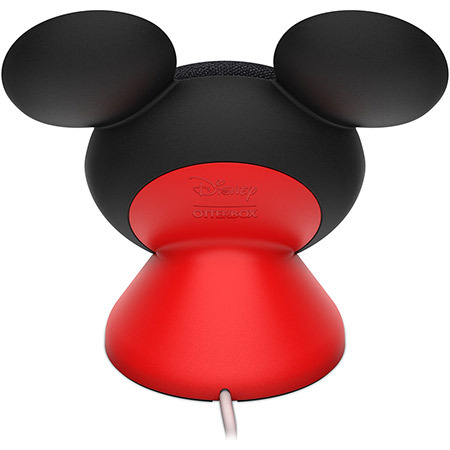 The cornerstone props up Google’s best-selling smart speaker and dedicates it iconic mouse ears and scarlet suspenders in the process. It also cures the Mini project by propping it up at an inclination. Oh, and the strength cord happens to double as a tail. 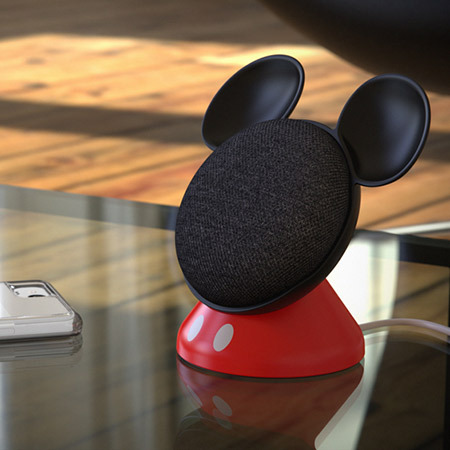 The clunkily mentioned Den Series for Google Home Mini featuring Disney Mickey Mouse will be contained through the case maker’s place. No specific accessibility just yet, and yes, Home Mini is exchanged separately. Apparently the concoction wasn’t be permitted to sneak its method into today’s exceedingly overflowing Google hardware keynote. But then, the company didn’t expend much experience on the Home line, outside of the brand-new Hub. No word hitherto on Donald, Goofy or, most appropriately of all, a Google Home Minnie.